The jaunty and amoral Liane the Wayfarer has no idea that he's in way over his head (even including the long red feather blinking and winking in his green cap) as "The red sun, drifting across the universe like an old man creeping to his death-bed," begins to set. If you want to hear funny, scary, and moving stories about desperate questers after knowledge, beauty, or love in a beautiful and terrible far future earth in which the dying sun sheds bloody ruby light on eroded mountains and ruined cities as the decadent remnants of humanity live amid exotic (and often deadly) flora, fauna, magical artifacts, and half-remembered dreams of long past achievements and legendary figures, then you should give The Dying Earth a try. The capable reading by Arthur Morey evokes the odd mixture of sardonic wit, decadence, hope, and imagination of Vance's book. Morey's voice is dry, but savory, and he pronounces Vance's strange names and unusual words clearly and changes tone appropriately for wizened men, giant demons, guileless or deceitful "girls" (i.e., women), tiny dragonfly riding Twk-men, self-centered rogues, determined wizards, man-eating Deodands, forgotten gods, and more. 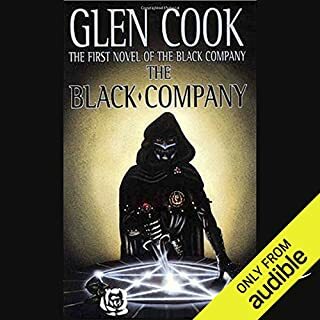 I would listen to more Dying Earth books narrated by Morey and highly recommend this one. What did you love best about The Dying Earth? The level of imagination in the book was a big surprise to me. It's kind of like a cross between Adventure Time and Sin City. With the setting being Adventure Time and the tone, gritty detail and story structure coming from Sin City. I've never read a science fiction or fantasy novel with quite as much creativity and it takes such an "advanced" look at technology that I thought it was written very recently. And, when I say advanced, I mean more along the lines of some of Greg Bear's novels in which genetics and human enhancement reaches a point in which our technology and limitations become almost magical (or in Bear's case of the Eon trilogy - godlike). And, if you look at the era - some 9+ billion years out - then you'd have to assume there were at least *some* highly advanced technology and genetic advancements made, even if the Earth has become a forgotten and dilapidated place.Additionally, the characters and the story arcs almost always go in directions I wouldn't have expected and that made it even more fun. I also really enjoyed the language and the names of this book as well. Some reviewers hated the pseudo ancient "tyme" English but it does a good job of creating the feeling of some distant era in which medieval people live in a post technological world and confuse technology with magic and ritual and give long winded names that aren't really meant to entirely make sense and sort of demonstrates the ignorance of even the people who "know." What was one of the most memorable moments of The Dying Earth? When it first mentioned prismatic spray and the number of spell limitations the wizard could commit to memory, I couldn't help but guess the level the wizard would be in d&d. Which, with some cursory wiki work it looks like the creators of d&d borrowed the idea from this book and not vice versa. If you like d&d, that's just a fun twist in the story. His tone is soft and endearing - like an old wizard reading a book of stories. I think that contrast with the dark subject matter helped give a unique feeling to the overall story and he does a good job voicing the different characters distinctly. My only negative is that the recording or his voice or both was very quiet and I had to crank it up a lot. This is now one of my all time favorites and I'm going to look for more of his work and this setting. 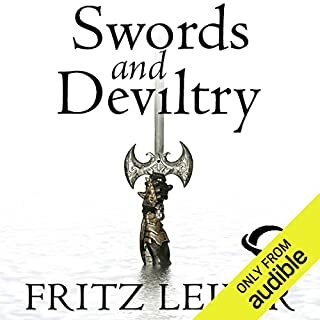 And I agree that it does require your full attention and I had to re-listen to parts throughout the book whenever I found myself lost but definitely worth checking out - especially since it's so short. This collection of short stories set in Vance's Dying Earth is old school fantasy and may suffer from the phenomenon of seeming to be derivative by virtue of being the thing that everyone else has been imitating. It's swords and sorcery mixed with hints of lost technology in a far future age when Earth's sun is going out and magic has replaced science, or perhaps they have simply merged to become the same thing. The red sun, the lands and peoples whose names bear no resemblance to that of our world, and the inhuman creatures who might be demons or might be aliens, are evocative and mysterious. It's reminiscent of Moorcock and Gene Wolfe, but distinctively Vance. This is a world where magicians know one of a hundred known spells, the rest all lost to the ages. There are swordsmen, magicians, scholars, and wandering rogues. The characters are heroic and scoundrelous, innocent and wicked. The dialog is formal and stilted, but deliberately so, in a way that makes each story read like a classic legend. The prose and stories are sure to please any fan of traditional fantasy, and Vance is an above average writer in this genre. I didn't love this book - hence only 4 stars, though I've enjoyed Vance's stories before and I'll enjoy more. 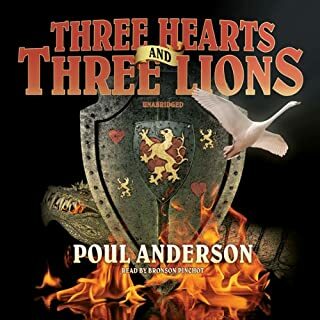 As I said, this book suffers from the fact that most people have probably read so many imitations that The Dying Earth deserves acclaim for its place as a core work in the fantasy genre, but it doesn't have much that most fans haven't seen before. Very enjoyable stories, and hard to imagine that the man who wrote this over 60 years ago is still alive! I thought this book was a masterpiece...but beware that this book is more akin to epic poetry than to modern epic fantasy. The book requires (and rewards) attention; this not one to listen to while driving. If you liked listening to Homer's Iliad (which I highly recommend), you will love the hypnotic, wide ranging, engrossing fantasy of this book. This book has many enjoyable aspects yet I found this language dry and stilted and the characters and action uninteresting. The author uses a wide vocabulary and an epic style of narration, but neither rang true to me. There is a lot of action, but the characters don’t seem to change and are not deeply explored, which left me unsatisfied. I tend not to delight in books like The Canterbury Tales for similar reasons. I tent to only enjoy an epic style when it have come from an oral tradition. The Dying Earth reminded me of novels based upon Dungeons & Dragons campaigns. The story moves from one undertaking to another, each a short mission, with a clear goal and obstacle, but with negligible building of relationships or character. In many ways the writing is quite pleasant with evocative imagery, creativity and worthy narration, yet I was really quite bored. 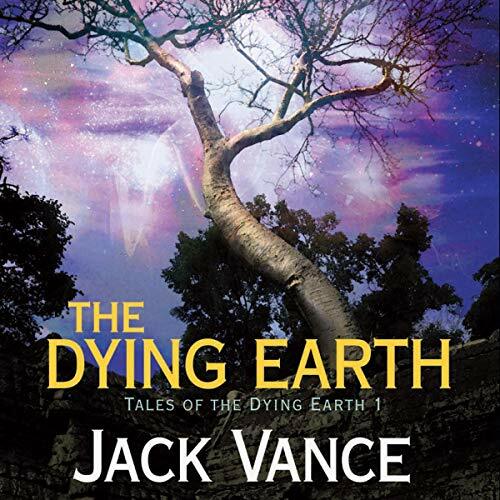 The Dying Earth is the first of Jack Vance’s Tales of the Dying Earth and contains six somewhat overlapping stories all set in the future when the sun is red and dim, much technology has been lost, and most of humanity has died out. Our planet is so unrecognizable that it might as well be another world, and evil has been “distilled” so that it’s concentrated in Earth’s remaining inhabitants. But it’s easy to forget that a failing planet is the setting for the Dying Earth stories, for they are neither depressing nor bleak, and they’re not really about the doom of the Earth. These stories are whimsical and weird and they focus more on the strange people who remain and the strange things they do. Magicians, wizards, witches, beautiful maidens, damsels in distress, seekers of knowledge, and vain princes strive to outwit each other for their own advantage. What appeals to me most is that The Tales of the Dying Earth are about how things could possibly be in an alternate reality. All speculative fiction does that, of course, but Jack Vance just happens to hit on the particular things that I find most fascinating to speculate about: neuroscience, psychology, sensation, and perception. These are subjects I study and teach every day, so I think about them a lot. One thing I love to consider, which happens to be a common theme in Vance’s work, is how we might experience life differently if our sensory systems were altered just a bit. I find myself occasionally asking my students questions like “what would it be like if we had retinal receptors that could visualize electromagnetic waves outside of the visible spectrum?” (So bizarre to consider, and yet so possible!) They look at me like I’m nuts, but I’m certain that Jack Vance would love to talk about that possibility. And even though The Dying Earth was first published in 1950, it doesn’t feel dated at all — it can still charm a neuroscientist 60 years later. This is because his setting feels medieval; technology has been forgotten. Thus, it doesn’t matter that there were no cell phones or Internet when Vance wrote The Dying Earth. “You are indeed fortunate,” said the Saponid, “in that, as a witness, I was able to suggest your delinquencies to be more the result of negligence than malice. The last penalties exacted for the crime were stringent; the felon was ordered to perform the following three acts: first, to cut off his toes and sew the severed members into the skin at his neck; second, to revile his forbears for three hours, commencing with a Common Bill of Anathema, including feigned madness and hereditary disease, and at last defiling the hearth of his clan with ordure; and third, walking a mile under the lake with leaded shoes in search of the Lost Book of Kells.” And the Castellan regarded Guyal with complacency. “What deeds must I perform?” inquired Guyal drily. If you want to find out what three deeds Guyal had to perform, you’ll have to get the book! I listened to Brilliance Audio’s production of The Dying Earth and the reader, Arthur Morey, was perfect. He really highlighted the humorous element of Vance’s work. It was a terrific production and I’m now enjoying the second Dying Earth audiobook (which is even better than this first one!). By the way, I want to say that I’m extremely pleased with Brilliance Audio for publishing these stories! 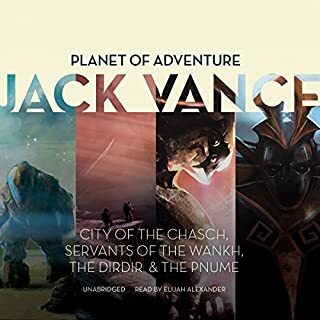 Jack Vance is my favorite fantasy author. 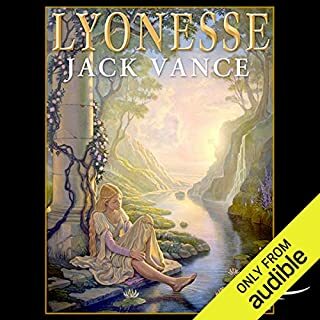 His work probably won’t appeal to the Twilighters, but for those who enjoy Pythonesque surreal humor written in high style, or for fans of Lewis Carroll, Fritz Leiber, and L. Frank Baum, I suggest giving Jack Vance a try. If you listen to audiobooks, definitely try Brilliance Audio’s version! Would you listen to The Dying Earth again? Why? Absolutely. Jack Vance's writing isn't like mere fiction, it is like reading a long lost ancient scroll. His style is timeless and also brings up a feeling that it was written eons ago. Turjan. He is the keeper of all the spells that remain. The confrontation with Chun the Unavoidable. Fantasy The Way It Is Supposed To Be! Vance is an amazing storyteller and if you enjoy well written thoughtful fantasy you will enjoy his writings. Also, if you grew up playing role-playing games, you will recognize many details that were taken directly from Vance's writings. Other reviewers compared the prose in this book to an epic poem or Middle English verse. I agree. I enjoy dated language and dialogue in writing, but when the story architecture itself is too dated, as it is here, it fails to hold my interest. I can see this as a point of extreme polarization, so I suggest the following litmus test: if you liked 'The Canterbury Tales' and 'Beowulf', this may be worth a shot, otherwise, save your time and a credit. Trees fruited with many intoxications overhung his path, and flowers bowed obsequiously as he passed. An inch above the ground, dull as agates, the eyes of mandrakes followed the tread of his black-slippered feet. The whole book reads like this. The first chapter I was wow, this is cool. It is almost like reading Shakespeare and understanding it. Makes you feel smart. The language is beautiful. Each chapter is a short story. Well, not so much a story as a fable. After you get done congratulating yourself on how smart you are, you will also realize that you know how the story is going to end, long before it does. Chapter after chapter you figure the plot out or lack of plot early on. The only surprises are the strange creatures and vegetation. If all you care about is pretty language, you will love this. If you want to be surprised or have a wow factor involving the plot or story line, you will be disappointed. 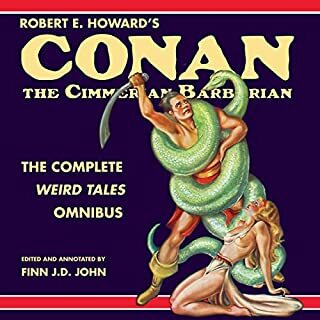 Imagine cooking together some Grimm Fairy Stories alongside a Dungeons and Dragons spell book, and then adding a flavour of the Canterbury Tales for good measure. Baste well and roast to perfection. The result is earthy, colourful and very engaging. I really loved it. This is a real gem. The sun is dying and mankind has evolved. There are strange creatures & men have learned magic. My biggest annoyance, and it it not resticted to this series, is that this series is in 4 parts. Parts 1 & 3 are availlable in audible. What about part 2," the eyes of the overworld"? I have purchased this on amazon, so it is availlable. What is the point of making part 3 availlable and not part 2. No part of this is great prose or great literature, but it certainly is an original idea and a unique vision of the future. This truly is a classic of the first water. No wonder it inspired the creation of Dungeons and Dragons! The audio and performance were good, and matched the text. My only complaint is that a few words are mispronounced, which is jarring given the text. nevertheless, it is a great recording and well worth a credit.